Item # 314239 Stash Points: 5,195 (?) This is the number of points you get in The Zumiez Stash for purchasing this item. Stash points are redeemable for exclusive rewards only available to Zumiez Stash members. To redeem your points check out the rewards catalog on thestash.zumiez.com. Bring a stunning look to your skate complete with Shmatty Chaffin's signature Paradise Noir pro model 8.5" skateboard deck from Visual. 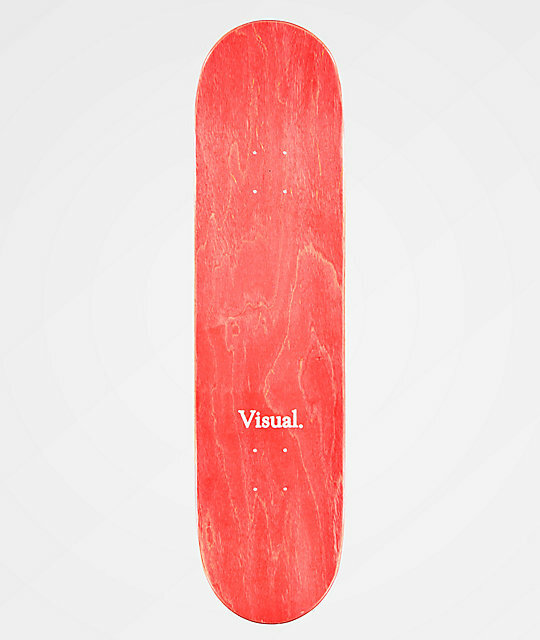 A testament to Visual's eclectic optical styling, Shmatty's board was given a luxurious black and white palm tree graphic, highlighted with Shmatty's name and Visual's classic logo script. 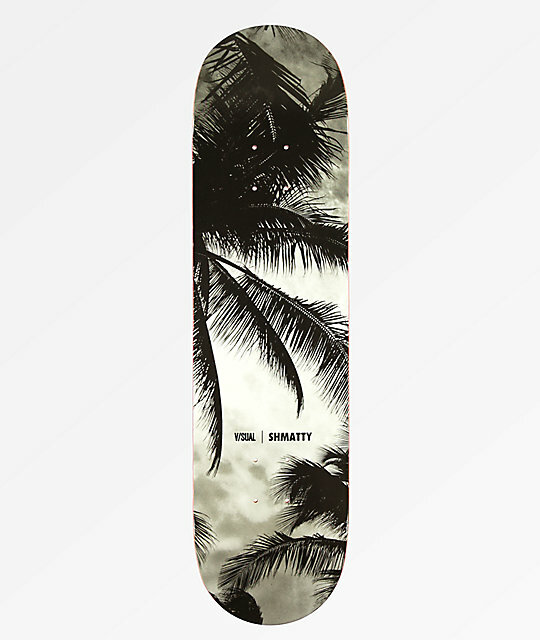 Shmatty Paradise 8.5" Skateboard Deck from Visual. Signature Shmatty Chaffin pro model.